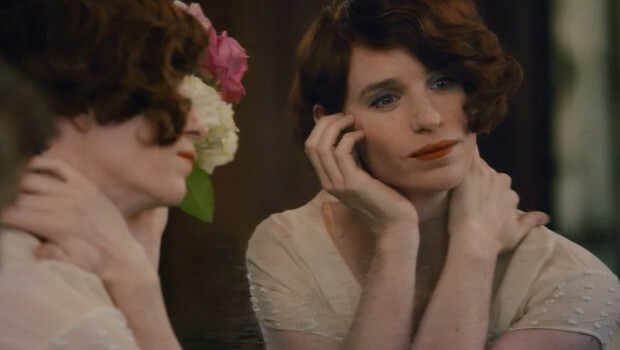 In The Danish Girl, Eddie Redmayne gives an extraordinary performance that requires him to alternate between the physicality of two different people. He plays Einar Wegener, a 1920s painter in Denmark who becomes increasingly attached to dressing himself as a red haired woman called Lili. Though met with expected antagonism from his wife, Einar increasingly identifies as Lili and becomes the first person to undergo surgery to fully transition their gender. There’s much value and intrigue drawn from the uniqueness of the narrative alone because we’ve so rarely seen a story like this before in cinema. As told by English talent, including Eddie Redmayne as Einar, and directed by Tom Hooper (The King’s Speech), the film is beautifully timed too in the wake of discussions about Hollywood’s lack of diversity. The Danish Girl’s inclusiveness and the genuineness of its intentions to represent an important historical figure, someone pivotal to a minority group such as transgender people, makes the criticism of the film mystifying. 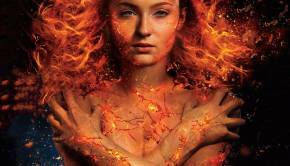 Some have described the film as offensive and dangerous, mainly because of casting a non-transgender person in the lead role, which is unwarranted and short-sighted towards the long struggle to develop the film and how good the final outcome is. 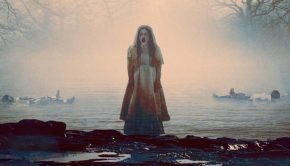 Labeling the film as Oscar-bait, assuming the film was designed for the awards season, is one criticism that ignores the film’s troubled production time. It has taken ten years to adapt David Ebershoff’s American novel, which is fictional in having American characters but still based on the first transgender person. Knowing its source, the film is already an unusual hybrid of fiction and history. Different directors have also left the film, including Swedish filmmaker Tomas Alfredson (Tinker Tailor Soldier Spy). Tom Hooper is a fitting choice though because this is a companion piece to The King’s Speech, which was similarly concerned about a man physically impaired by the confines of his body. He has a unique sense of lenses and spatiality, which sometimes invites trouble as it did in Les Misérables. Here, the wide lenses of Einar’s studio have the purpose of reducing the physicality and size of Einar as a reflection of his internal discomfort. 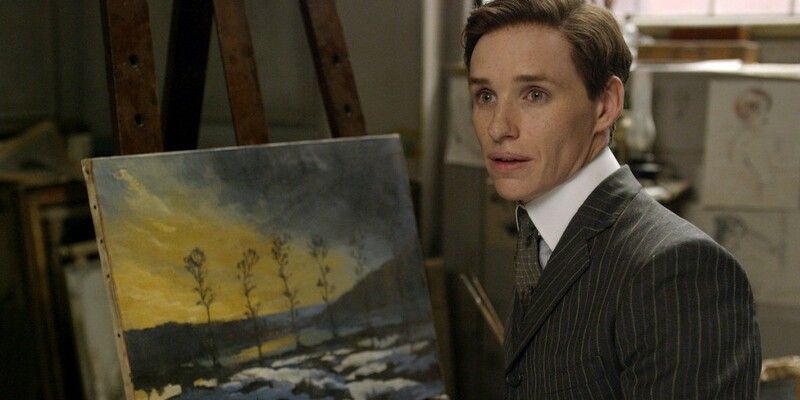 Along with this tortured physicality, Eddie Redmayne spent more than a year in preparation for the role and was attached long before his Oscar-winning Stephen Hawking biopic The Theory of Everything. His research included talking to transgender people, one of whom was transgender director Lana Wachowski, given they worked together on Jupiter Ascending, which highlights an example of his research and his contact with transgender people for this film. Being deterred from the film based on the trailer is understandable. 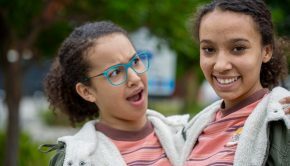 The trailer dilutes the film into a message about being yourself—a gross simplification that forgoes the film’s central conflict, which explores self-discovery but also most painfully, letting go. These contrasting viewpoints inspire the film’s ambiguous title. 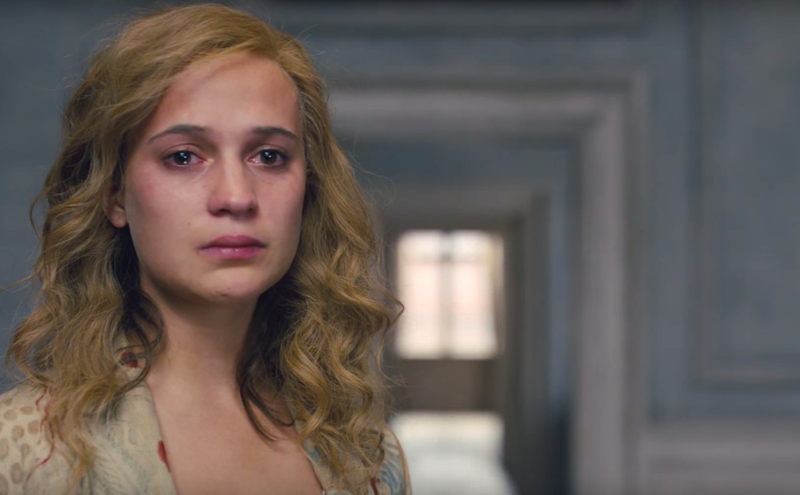 “The Danish Girl” is not merely referring to Lili but Einar’s wife Gerda Wegener (Ex Machina’s Alicia Vikander). Both Gerda and Einar are artists but only his paintings are recognised. Thematically, the film is about perception, specifically what people choose to see. Perception is most affectingly dramatised through the breakdown of Einar and Gerda’s marriage, which unfolds because of his transformation and whether she will accept the changing physical, emotional and sexual state. Lili is invented as a joke when Gerda needs a model and Einar must don a dress and pose for the painting. Given Einar doesn’t feel comfortable in the company of men, Gerda also encourages him to attend a gallery dressed as Lili. Gentle comedy arises here when the other men suddenly take to Lili, including Henrik (Ben Whishaw). But the film reverts back to being a domestic drama about the couple drifting apart. The conflict of the plot develops from the frequency in which Einar becomes Lili. Throughout these episodes, Gerda isn’t insensitive but understandably struggling to compete against another woman in their relationship. Furthermore, the film’s early stages delves into the sexual activity of Einar and Gerda as they are struggling to try for a baby together, which is one way the film hints at Einar’s shifting sexuality. All the characters are fluid in their sexuality, particularly Henrik who takes a shine to Lili but also concedes he knows who she really is, which further emphasises altering perceptions. Gerda’s sexuality is confusing, perhaps intentionally so. Early on, she sees Einar wearing a piece of women’s clothing under his shirt, which momentarily increases their attraction to each other. The film doesn’t argue she was gay because no one was entirely sure in real life. Some websites have said that the real life counterparts became like sisters rather than lovers. Refusing to make them lovers is beneficial to the story’s conflict, as are some unusual choices by Gerda. She allows Einar to keep dressing as Lili conditionally because it’s only occasionally and it ignites her painting career, which could have suggested she is using Lili but it’s an idea that falls astray. She also attempts to draw from Einar’s past to help him paint again once he loses his drive. The character Hans Axgil (Matthias Schoenaerts) is a good avenue for exposition about Einar’s past and developing his childhood. Once we learn about Einar’s past, The Danish Girl edges towards existentialism in its psychology. Einar is someone who from childhood has been in search of a new physical vessel that will allow him to remove himself from the expectations of the male focussed art world and be free to express his sexuality and femininity. As Lili, he is reborn into the woman he believes he should be. Lili isn’t someone he can become with male organs either, as visualised silently in the film’s most provocative and bravest image, where he hides his genitalia. Some believe the clothes oversimplify Einar’s psychology but they are the skin of a new being of whom he becomes increasingly unified with, until the performance dissolves and art and life are inseparable. Aiding these ideas are the strong performances. Alicia Vakander, particularly early on, is energetic and commanding, which perfectly expresses her dominant personality over Einar, who is shy and slender and visibly uncomfortable in the company of men. 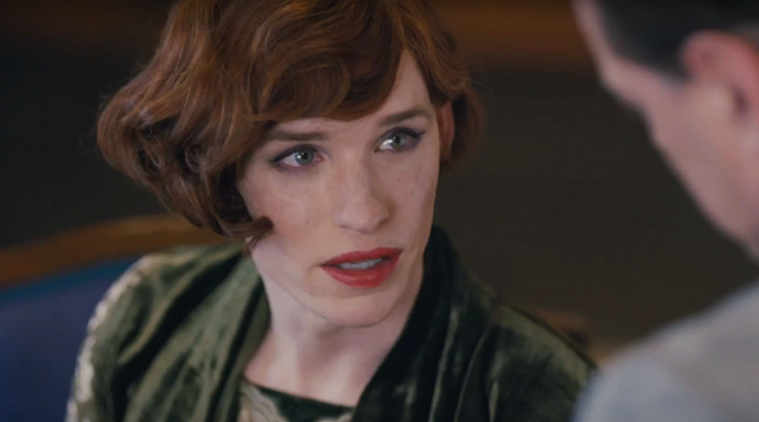 The way Eddie Redmayne finds such a clear, visual contrast in the physicality between the two characters he embodies has the astonishment of a great magician at play and it’s an enormous aid to our empathy and understanding of what it feels like for a transgender person to be trapped inside themselves and the pain of having to contain their most human urges. The repressed torment of Einar’s tight suits fade once he becomes Lili, who inspires a rebirth as he adjusts to this new skin and realises his femininity but is one still burdened by sadness in leaving his past and facing uncertain medical challenges. The film’s story is unique and brave and the two commanding performances give it a gripping emotional weight that is very affecting. Its imperfect in its psychology but confusion was inevitable in a complex story of sexuality and gender. Einar and Lili are a mirror to the audience because we are them, coming to terms with the inner feelings of the characters and a film bold enough to explain the subject matter and make us understand an underrepresented, important minority is worthy of our attention. Summary: The film’s story is unique and brave and the two commanding performances give it a gripping emotional weight that is very affecting. Damien Straker is a freelance writer and film critic. He studied at the University of Sydney and graduated with an Arts Honours degree in Film Studies. He is a pop culture aficionado and enjoys talking about all films, 90s TV shows, ninjas and watching Rugby League. His favourite film directors are Clint Eastwood and Alexander Payne.